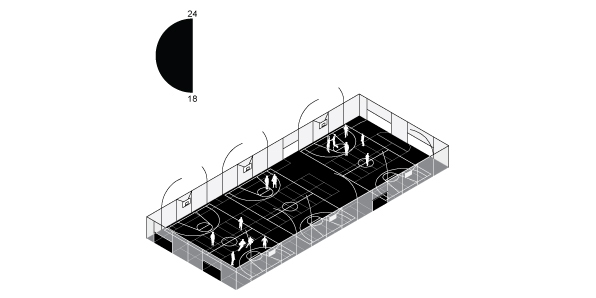 Design research for the implentation of sport facilities for small train stations. With the decrease of commercial facilities the public quality of smaller train stations is declining. The Dutch railway company NS is looking for new ways to revitalize these locations by adding new public programs, such as sports, that enhance public activity for travelers as well as citizens. In the case of sports, stations form the ideal location: well connected, with a lot of influx and often on central locations in the city. By transforming multiple monofunctional station areas into sport hubs, we can create hyper central facilities for the citizens, while at the same time introducing a vast network of facilities that will function on a regional scale. 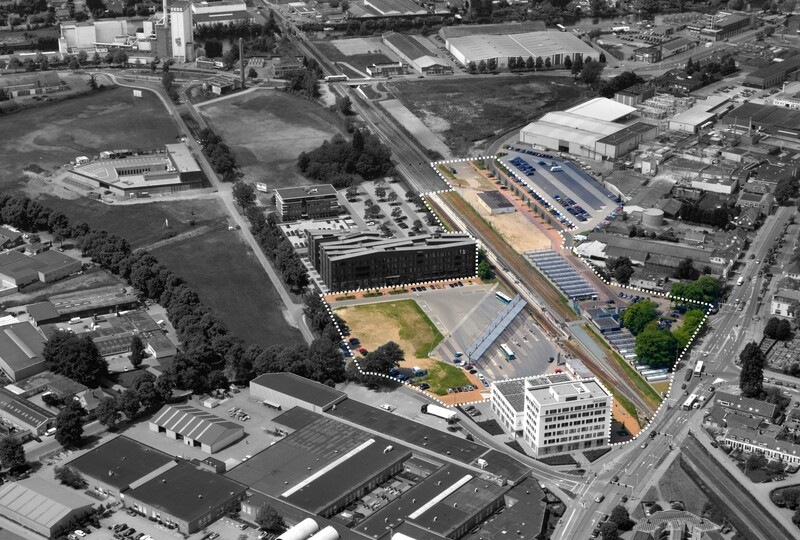 The NS has chosen station Doetinchem as a pilot project for this revitalization strategy. 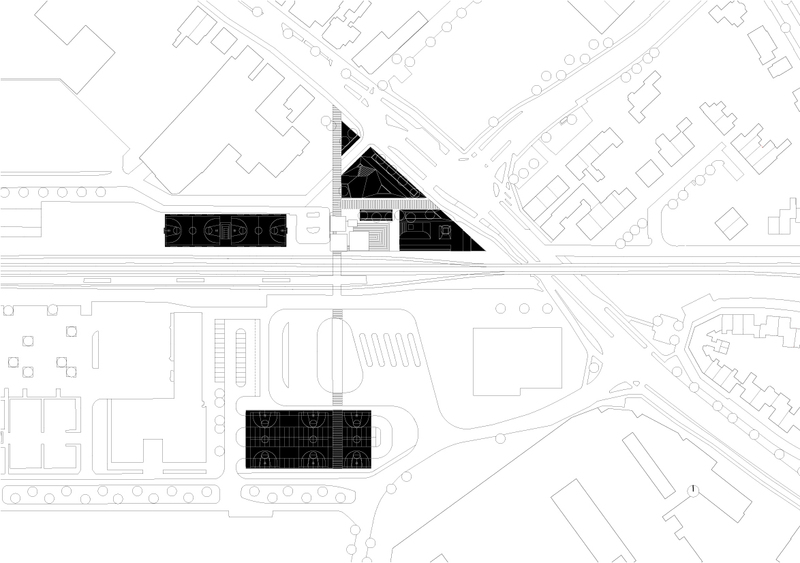 Station Doetinchem, located at the edge of the city centre, is on the verge of a makeover: the station building, the bus station and the station square will be redesigned in the coming years. This research investigates the possibilities to implement sport facilities within the current and future layout, without obstructing the logistics of the travelers. Out of a series of proposals three designs were presented to the municipality. 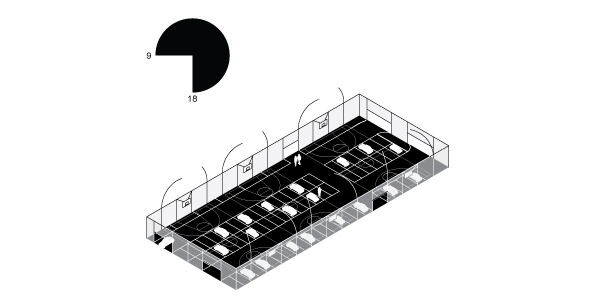 Each design evokes double use of space, programmatically and/or spatially. 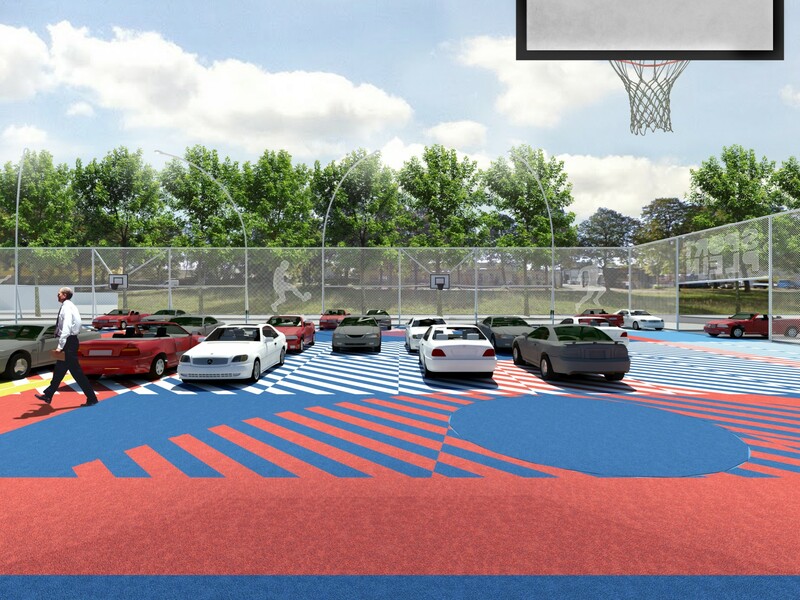 With relativly little adjustments the planned commuter parking space can be transformed into a part-time sportsquare. By adding a fence with lighting and sport equipment, and adding sportlines to the pavement the parking area can be used as a sport area during the evening hours, when the parking space is vacant. 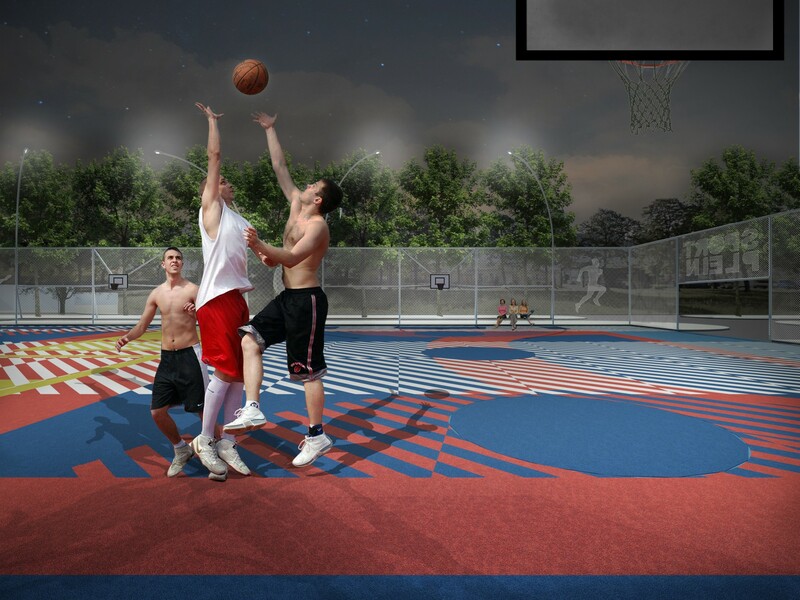 The cover of the new bicycle storage can be strengthened to allow for an elevated sport square. The new square allows for an intensification of the public space, without interfering with the transportation flows of the station, and creates and eleveted platform that will be visible from the platform and the train. The station square will be designed as a 3D landscape that can be used as a skating square but also allows for resting and seating areas for spectators and the passer-by.